Provide comfort for the family of Jesse Adams with a meaningful gesture of sympathy. Worley-Luginbuel Funeral Home, Grove, Oklahoma, 918-786-2261. 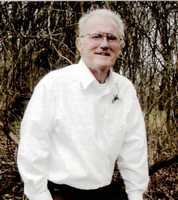 Jesse Dallas Adams, 83 year old Grove resident, went to be with his Lord on Tuesday, February 5, 2019. Jesse was born in Lowell, KS on December 21, 1935 to Arthur L. and Ina Mae (Morton) Adams. He attended school in Lowell, KS as well as in Baxter Springs, KS. He was united in marriage to the love of his life, Joyce Lafair Nichols on March 27, 1955. Jesse proudly served in the United States Air Force from January 14, 1954 to October 7, 1967 serving 2-3 tours in Vietnam. Jesse is preceded in death by his parents, wife Joyce Adams, and brother Shawn Adams. Survivors include his sons: Jesse Dallas Adams, Jr. of Lake Geneva, WI, Timothy L. Adams and wife Cathy of Fairland, OK, and Jon Adams and wife Vonda of Nowata, OK, grandchildren: Jill Adams Harriel, Jolene Adams, Jesse Dallas Adams III, Mariah Adams Dunkel, Blakely Adams, and Reace Adams, 6 great grandchildren, one uncle Paul Adams of Baxter Springs, KS, and brothers: Jerry Adams, Sr. of Dubuque, IA and Leslie Adams of Lake Geneva, WI as well as a host of nieces, nephews, and friends. Celebration of life services will be held at 3 p.m., Saturday, February 16, 2019 at the Foundation Freewill Baptist Church with Pastor Sam Smith officiating. Arrangements are under the direction of Worley Luginbuel Funeral Home of Grove. Online condolences may be made at www.honoringmemories.com or on the Worley Luginbuel Facebook page. To send flowers in memory of Jesse Dalas Adams, please visit our Heartfelt Sympathies Store. We encourage you to share your most beloved memories of Jesse here, so that the family and other loved ones can always see it. You can upload cherished photographs, or share your favorite stories, and can even comment on those shared by others. Provide comfort for the family of Jesse Dalas Adams by sending flowers. My condolences to the Adams families. I'm sorry to hear about the loss of dear Jesse. Some Bible scriptures that have helped me during times of loss include Isaiah 26:19 and Psalm 37:28,29 which states in part "Your dead ones will live...They will rise up". And the Bible also says "The righteous themselves will possess the earth and they will forever reside upon it". Therefore the Bible promises that we may be reunited with our loved ones lost in death by means of an earthly resurrection. This is further confirmed by John 5:28,29 which says "Do not marvel at this, because the hour is coming in which all those in the memorial tombs will hear his voice and come out". This is possible thanks to Jesus Christ's ransom sacrifice. Thus we have a genuine hope of everlasting life in a world without wickedness or suffering.